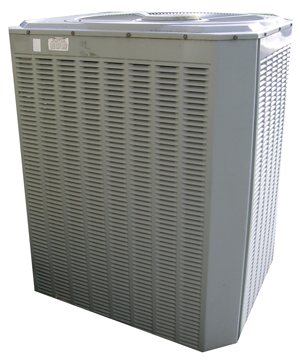 Heating and Heat Pump HVAC contractor for sales, service, and repair of home and business gas and oil furnaces, electric furnaces, heat pumps, gas water heaters, electric water heaters in Southern MD and the communities of Mechanicsville, Hollywood, California, Great Mills, Lexington Park, Waldorf, La Plata, Hughesville, White Plains, Solomons, Prince Frederick, Huntingtown, Owings, Dunkirk and all of St Marys, Charles and Calvert Counties. First system tune-up and inspection performed within 2 hours. If two heating units are at the same location, a discount will be offered and service must be completed at the same time. Call the office for our current rates. Includes 24 Emergency heat service, Annual Tune-Up and Inspection, and covers all service calls for 1 year plus a 10% discount on all parts. Includes 24 Emergency heat service, Annual Tune-Up and Inspection, all service calls and the following parts: fan motor, fan control, fan belt, nozzle assembly, fuel filter, limit control, burner motor, drive coupling, draft regulator, primary control, standard thermostat, fuel oil pump, ignition transformer, nozzle, flame detector and fuses. Replacement of non-covered parts will be billed at prevailing rates including labor. Includes 24 emergency heat service, Annual Tune-Up and Inspection, oil filter, nozzle and strainer, all service calls, listed parts in Plan II, circulator, relief valve, expansion tank, pressure temperature gauge, service switch, burner lead, flame detector, circulator coupling, automatic air vent, flue pipe and capacitors. Replacement of non-covered parts will be billed at prevailing rates including labor.